There’s more legal action in the high-profile “edge sorting” case pitting Phil Ivey and co-defendant Cheng Yin “Kelly” Sun and New Jersey’s Borgata Hotel Casino & Spa. 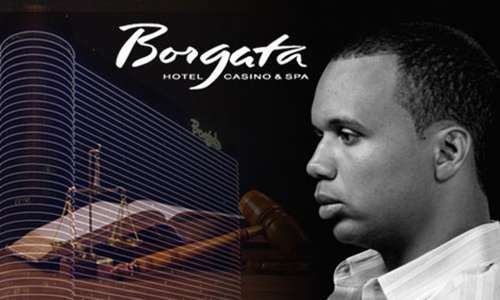 The latest topic of dispute is another attempt by counsel for Ivey and Sun to have the appeal of the $10.13 million judgment in favor of the Borgata formally certified as “final” (and moved on to the appellate level), without Ivey having to post the amount of the bond. To date, Ivey and his lawyer have resisted all efforts by counsel for the Borgata’s parent company, Marina District Development Co. LLC, to get that $10 million and change into the legal system, to be awarded to whichever side prevails upon appeal. The most recent memorandum in the case, filed by Borgata counsel Jeremy Klausner, accuses the Ivey side of intentional foot-dragging and much more in an attempt to keep that money out of the legal reach of the Borgata, come what may at appeal. This latest brief on behalf of the Borg is a response to a motion filed by Ivey lawyer Louis M. Barbone in late July. That motion asked that the late-2016 ruling be declared final — the Borgata response agrees with this — but asks that the financial element, that $10.13 million in owesies, be stayed pending the “strong showing of likelihood of success on appeal and the substantiality of loss upon defendants.” That later means that, yes, $10.13 million is a lot of money, and Ivey, Sun, and possibly Sun’s backers would rather not have to put that money up as bond, which is normally the case. If it all sounds like we’ve been here before, we have. The two sides have been arguing about the appellate bond since at least February of 2017. Back then, that question was deemed unripe, since Gemaco was still a defendant in the Borgata lawsuit. The Borg has since dropped its claims against the Kansas City-based cardmaker, thus removing that legal technicality. Both sides have resorted to classic legal fuckery in making their arguments, which is admittedly part of what’s made the lengthy circus so entertaining. Nonetheless, it’s hard to see how Barbone’s latest motion on behalf of Ivey and Sun was anything other than a delaying tactic, as Borgata’s Klausner asserts. Stating “likelihood of success on appeal” is legalese for “you’ve fucked up,” which no judge is likely to take well. And further, the argument that having to post the $10.13 million is financially damaging to Ivey and Sun is… well… moot. 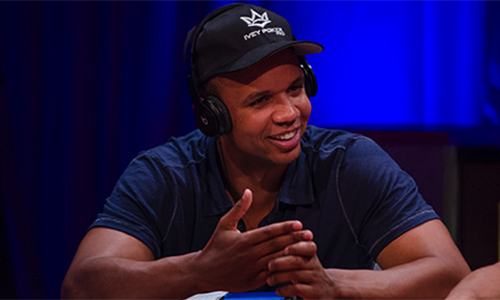 Whether one believes that the 2016 ruling in Borgata’s favor was correct or not, or whether Ivey cheated or not, the standard legal precedent is that one has to post the ruling’s adjudged amount is a part of being able to make that appeal. There are exceptions, but not wanting to ’cause it’s a lot of money generally isn’t one of them. Klausner’s filing than goes on to detail Ivey’s recent activity on the high-stakes poker scene, by way of inferring that Ivey has plenty of wealth and is flaunting judicial process.